Bouquet "Tales of Scheherazade." Buy a bouquet of lilies in Kiev. What I'm one in love wiht you. And on my soul spring! And me at heart - May! 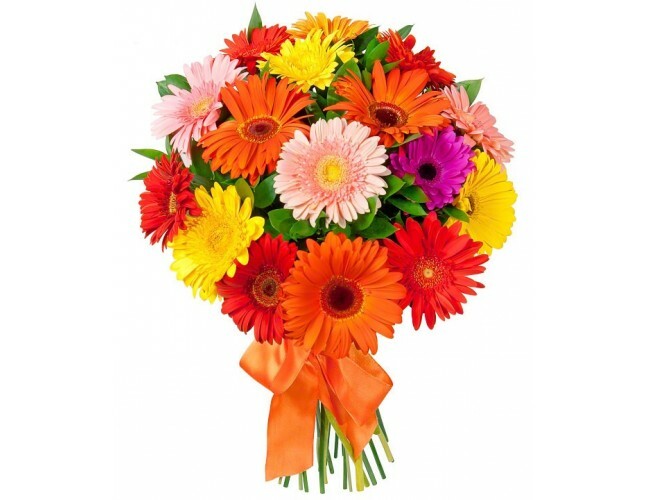 Description of the bouquet: Bright, colorful, full of happiness and joy bouquet reminiscent of a fairytale fireworks. 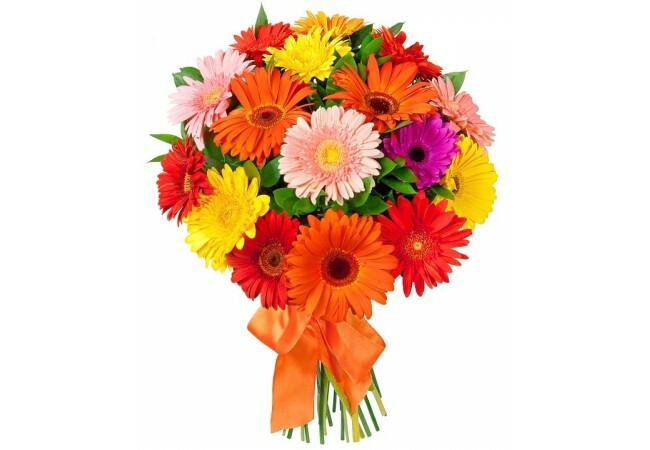 Composition of the bouquet: gerbera varicoloured- 21, decoration.